What The Health? is a documentary now available on Netflix, which I just so happened to watch earlier this week. The video follows filmmaker Kip Andersen as he uncovers the leading causes of death in America (cancer, heart disease, and diabetes) and looks at what leading Health Organizations (American Cancer Society, American Heart Association, American Diabetes Association) have to say about diet and these diseases. But be warned, if you’re looking for an easy viewing, don’t pick this movie. About half way through the film, the information takes a turn for the worse and starts promoting strict veganism as the only healthy diet. As a registered dietitian I can tell you that’s total non-sense. There’s many ways to achieve a healthy diet and life style, and it disappointed me the movie didn’t recognize that. 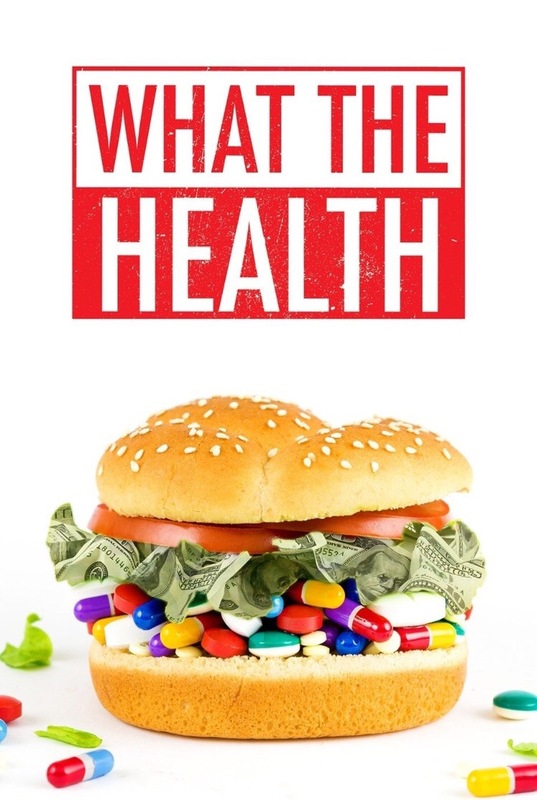 The gist of the documentary is that many leading health organizations accept money from companies selling clearly unhealthy foods, yet these health organizations now promote these unhealthy foods because of finanacial ties. The documentary only targeted the unhealthy meat products, and in fact said sugar is healthy to eat! I think aiming for 1-2 meatless meals is a good goal for the general public. It’s not necessary that someone follow a strict vegan diet just because this movie said so. Of course, I will always be a firm believer that everyone needs to increase their fresh fruit and vegetable consumption, but that doesn’t mean you have to get rid of all meat in your diet. 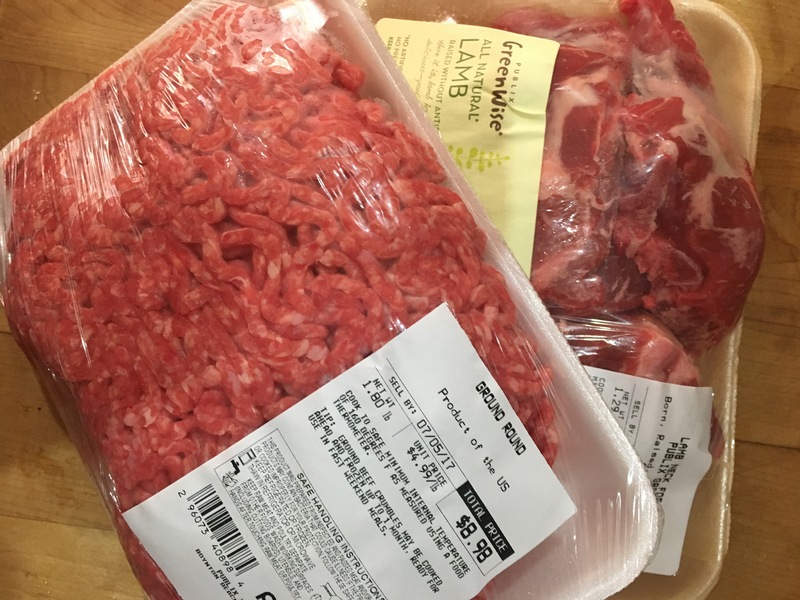 I would say it’s a good idea to leave the bacon and sausage in the grocery store, but other things like fish, chicken, and even lean beef can be part of a healthy diet. Has anyone else seen this movie? Also does anyone know who funded What The Health? — that’s something I’ve been meaning to look into. Stay tuned for my next blog post where I’ll feature a recipe for vegetarian chili which you can use for your next meatless meal! Link to the Official Website of What The Health? 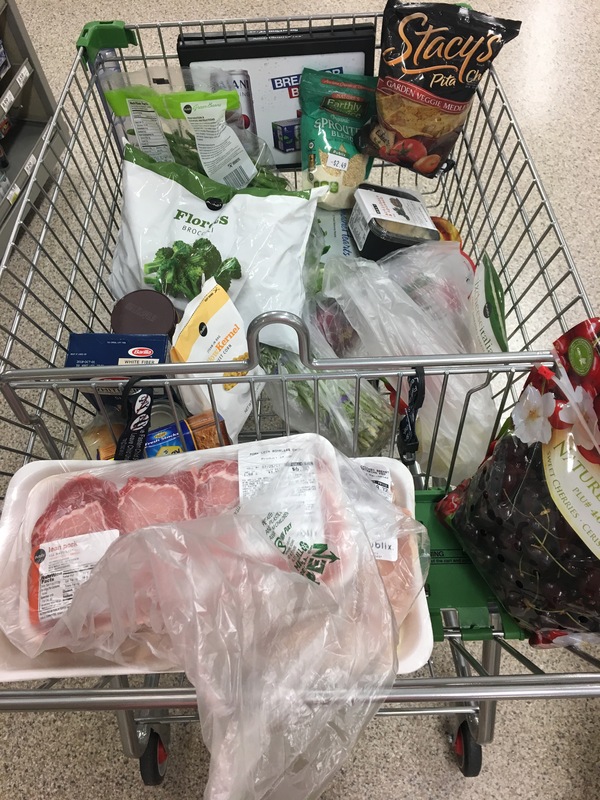 I just got home from Publix on my lovely day off and decided for today’s blog post I wanted to show you what I buy on a regular basis at the grocery store. So here’s what was in my cart for this week’s meals. It’s difficulty walking past so many temptations in the grocery store, even as someone who knows all about the harmful effects of certain foods, I still find it hard to resist sometimes. You’ll notice I have 1 box of pasta in there, I really like the White Fiber pasta by Barilla. Also I bought graham crackers and peanut butter because that’s almost always my go to breakfast. And finally, you probably picked out the bag of chips and spinach dip which was definitely my impulse buy of the day! Ice Cream was on a BOGO sale, but I resisted the temptation because I knew once I had it in the house it would be a dangerous situation. It’s so much easier to eat healthy when that’s all that’s in your house. My two biggest tips I can give you to have a successful and healthy shopping trip are plan ahead (and make sure to stick to your list!) and start with the perimeter of the store (produce, meat, and dairy). Make those items (specifically vegetables) the base of most meals, and then fill in with your pantry products (and unfortunatey often highly processed foods) as needed. This past weekend I attended a 2 day seminar in Fort Lauderdale, FL. I was really impressed with all the presenters and presentation topics, but probably the most unique session I attended was about integrating yoga into a nutrition practice. I never realized how easy it was to do yoga in a CHAIR!! Not only is this great for everyone who’s feeling a bit lazy at times, but its also an easy recommendation for our older population or adults who work desk jobs. I even thought of my mom’s second graders who would likely benefit from some routine stretches during their school day. 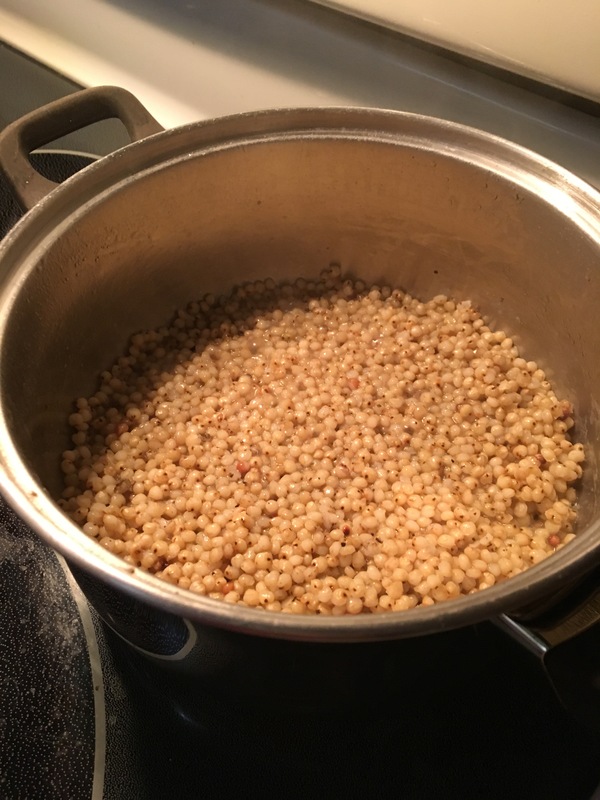 One big problem I often face is the desire to want to use conventional seasonings while cooking, but not wanting to load my food with a ton of chemicals. Sure, jarred seasonings and marinades from the grocery store are an easy promise to a lot of flavor, but often looking at the nutrition label reveals there’s a lot more than just herbs and spices in that bottle. 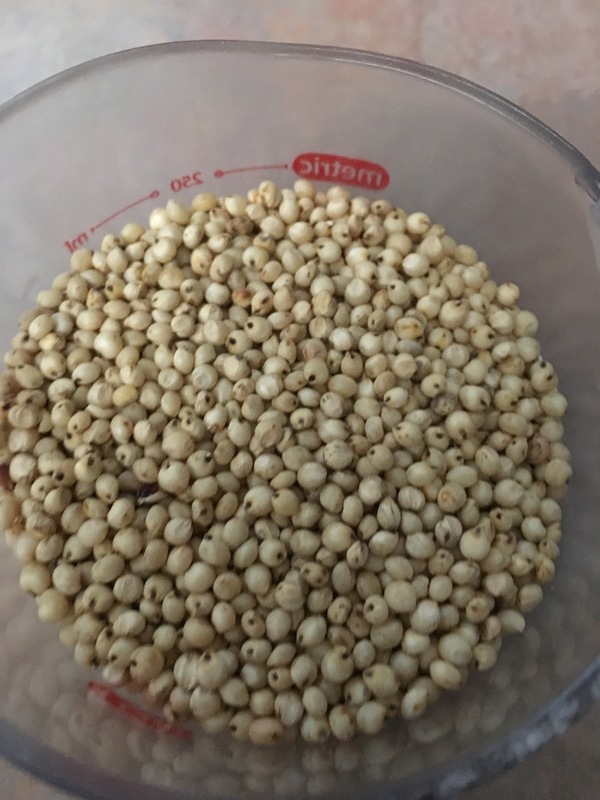 My safest bet for seasoning is to make my own spice rubs and marinades. I use whole herbs and spices, plus oil, vinegar, and citrus for marinades so that I’m controlling what goes into my food. This is also a great tip for reducing your sodium intake, because jars of marinades are almost always going to be so high in sodium/salt. 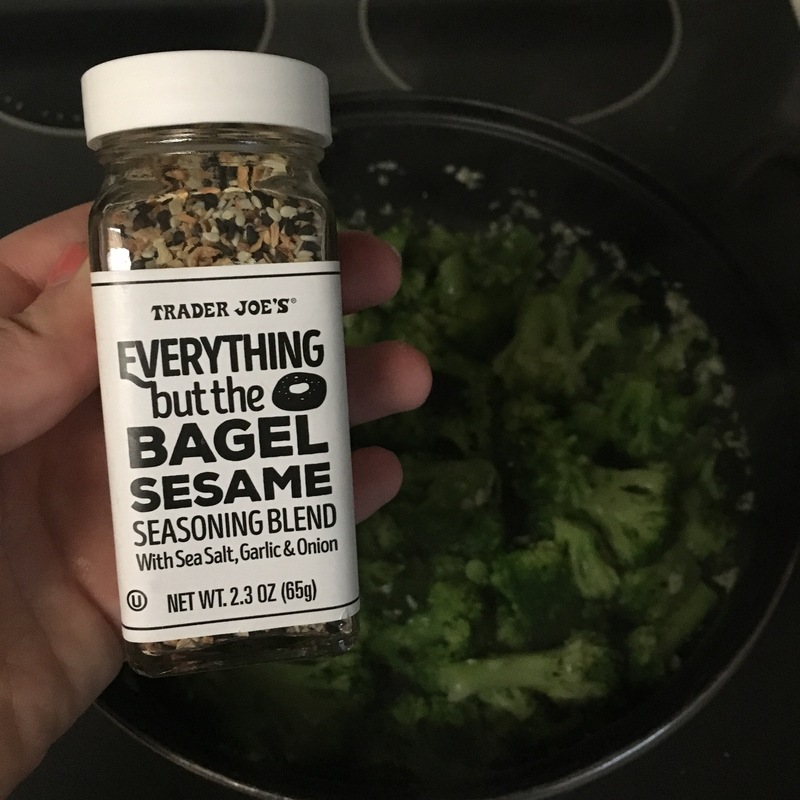 One jar of seasoning I do often use is the Everything But the Bagel seasoning from Trader Joe’s. No added or secret ingredients in this jar, but the best part is you can add it to just about anything. Breakfast, veggies, meat, and salads have never tasted better once you give this a try! 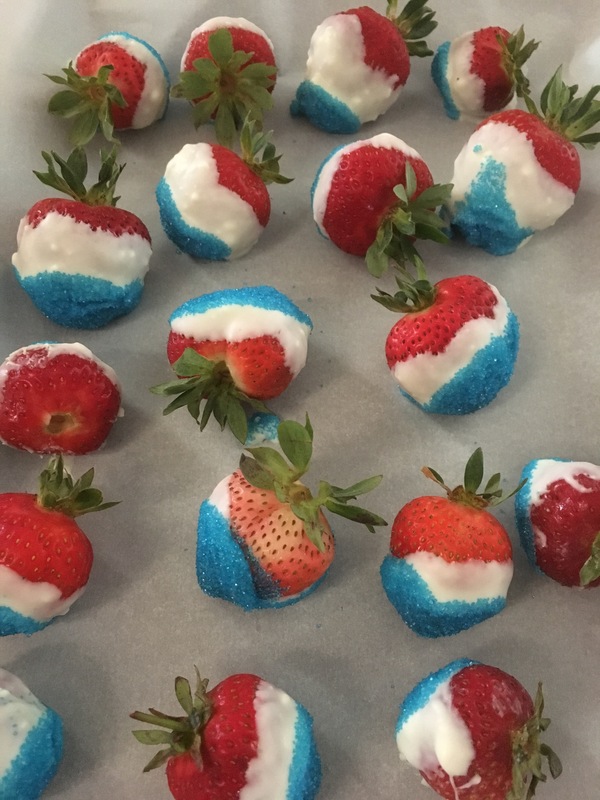 Check out these adorable red, white, and blue chocolate dipped strawberries! Let me tell you they are so yummy and so easy to make. We melted white chocolate in the microwave, added a bit of coconut oil to help think the chocolate and finally dipped in blue sprinkles. I highly recommend you give this recipe a try any time you’re feeling patriotic. Enjoy great food, great music, and great company during today’s holiday. Enjoy whatever holiday food comes your way, and instead of feeling guilty for enjoying it, try to sneak some physical activity into your day, either by going for a swim, a walk, or maybe a game of volleyball or badminton if you’re at a party! 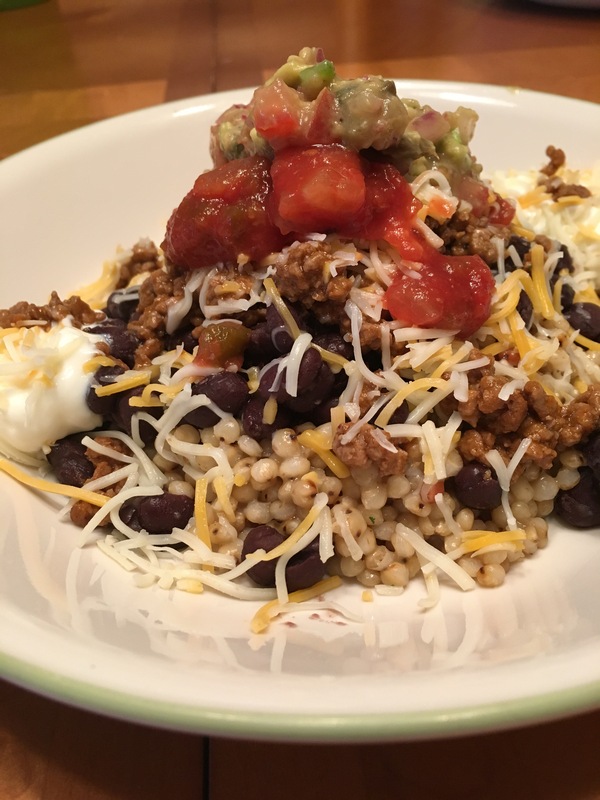 Eating Healthy while Working Out is a blog post which is part of a 3 part series, make sure to scroll down to read the previous 2 blog posts as well. Who has ever gone to the gym and had a great workout, only to come home and stuff your face full of food. Well first, let me remind you there is NO SUCH THING as a bad workout. Exercising isn’t just about creating a calorie deficit, it’s also about getting your heart pumping and improving your cardiovascular health in the process. But, with that said, if you’re looking for a little more guidance to help nutritiously fuel your workouts, keep on reading for some of my best tips! I have so much trouble working out first thing in the morning, and one of the main reasons I have that problem is due to dehydration. I feel so sluggish and stiff if I haven’t had anything to drink yet. Water recommendations are hard to give because they are very individualistic. Often, the general range we give is 8-10 cups per day, but see what feels best to you. If you’re having trouble recovering post workout, you may need to increase your hydration. But remember, there is such thing as drinking too much water, if your urine is colorless then you know for sure you are overhydrated. Check out my favorite reusable water bottle below– it keeps my water icey cold. What’s the deal with protein and do you need a protein supplement? Well, there’s no straight forward answer to this one either, but let me tell you what I do know. Most healthy individuals require 0.8-1.0 grams of protein per kilogram of body weight. So your 150lb person, weighs 68kg, and requires between 54grams and 68 grams of protein per day. A 3 ounce portion of meal has around 21 grams of protein (most people eat more than 3 ounces in a single serving.) So if you’re a regular meat eater, you’re going to have no problem meeting your goal. Even if you’re a vegetarian, you won’t have any trouble meeting your goal through eggs, soy, cheese, and whole grains. Protein shakes aren’t bad, but they aren’t necessary. Excess protein will either turn into fat, or be excreted via urine. If you’re someone who prefers a shake because it’s easier, quicker, or tastier- that’s fine, just check your serving and see how it fits into your overall protein distribution. But if you’re not currently using a protein supplement, there is probably no reason to start. After Workout snacks and meals are so important to helping your body and its ability to recover. A great after workout snack is going to contain both protein and carbohydrate to properly fuel your hungry muscles. Yogurt + nuts, cheese + whole grain crackers, or fruit + peanut butter all provide a nice variety of nutrients. 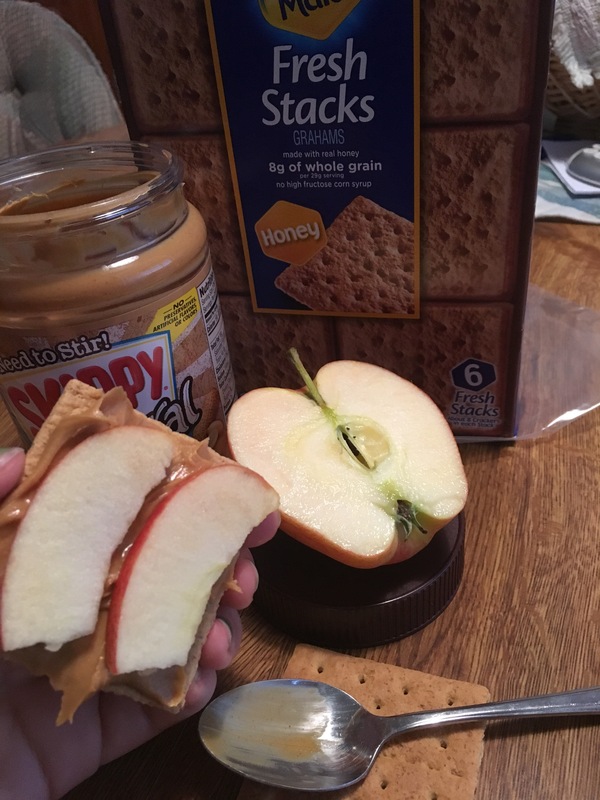 Check out one of my favorite after workout (or anytime) snacks below- PB+ whole grain graham cracker + apple slices. Get moving this week and test out my three tips! Do you have any nutritious tips you follow when you’re exercising? Please share your favorites! If you liked these quick tip series, let me know so I can do more. What other situations do you need tips for creating healthy meals?